Med Mart is a nationally recognized retailer of medical supplies and equipment including home elevators, stair lifts, lift chairs, and power wheelchairs. 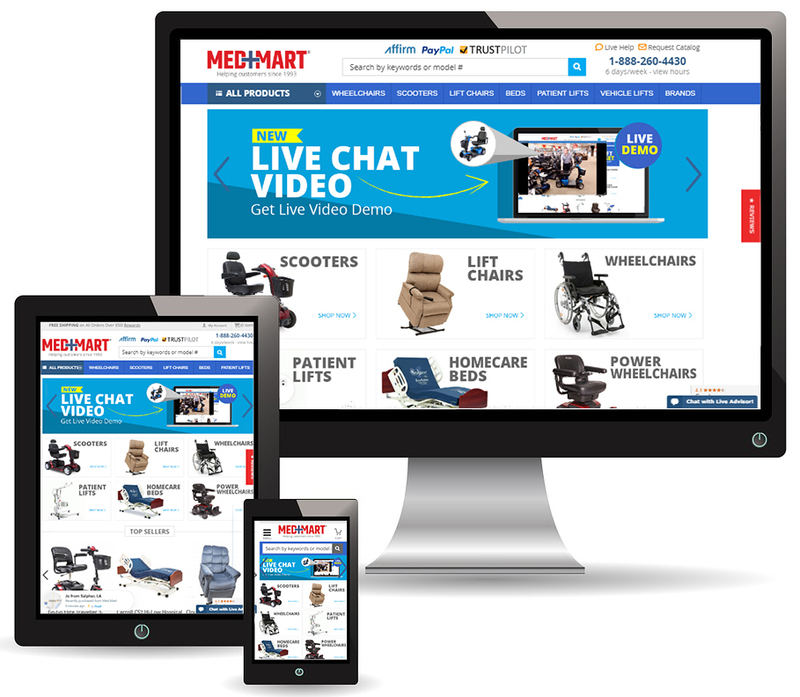 As one of the largest and most diverse home medical equipment stores in the Midwest, Med Mart is continuing their growth through eCommerce and Magento. Med Mart was operating on an outdated version of Magento that, due to “core hacks” to Magento’s code, could not be updated or patched. In addition, their previous developer left them with numerous disabled patches and extensions that proved to be excessive, costly, and simply broken. InteractOne was tasked with locating and fixing core code hacks, upgrading the site, updating and configuring extensions as well as applying patches to address security concerns. InteractOne was able to provide Med Mart with an upgraded Magento 1.9 site that included a third-party channel marketplace integration configured for Amazon. All extraneous extensions installed by previous developers were either removed or repaired and upgraded for compatibility with the new Magento codebase. In addition to the site upgrade, InteractOne provided education and training to enable Med Mart to maintain their site and manage their Amazon integration including ads and product descriptions in-house. InteractOne was able to successfully integrate our client’s needs with Magento coding standards to achieve the necessary updates. Upgrading and patching the Med Mart site provided the client with a more stable and secure platform upon which to build its online business. If you are interested in learning more about how InteractOne can help with your merchandising issues, or how to optimize your Magento installation for your brand, please contact us or call 513-469-3345.